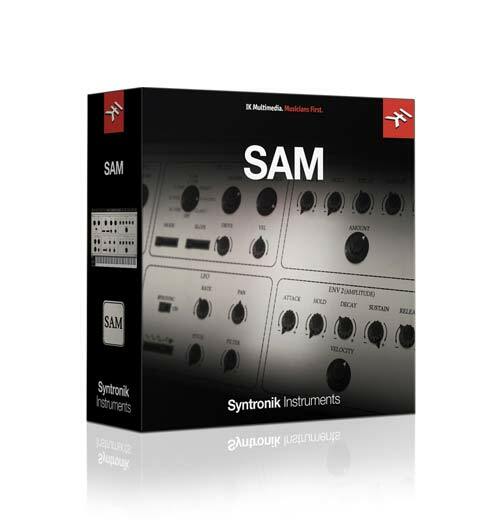 The Syntronik SAM is based on the Oberheim SEM synth. 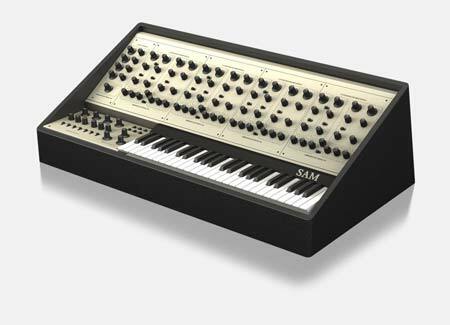 Manufactured from 1974-1979, the Synthesizer Expander Module, or “SEM,” is a single voice module containing two variable waveshape oscillators that are mixed together into a 2-pole state variable filter that provides four different filter modes: high pass, band pass, low pass and notch. The SEM state variable filter is probably the second most famous filter in synth history after the iconic Bob Moog transistor ladder filter. The SEM 2-pole filter has a gentler roll off slope at 12dB per octave than the Moog 4-pole filter at 24dB per octave. This creates a very different filter sound especially at high resonance settings. Synth aficionados generally prefer the 2-pole filter for brass and pads, while the steeper 4-pole filter often works better for basses and leads. SEMs have been used by Jan Hammer, Joe Zawinul, and film-maker/composer John Carpenter.